Visiting the Philippines is big fun. Perfect beaches. Friendly locals. Beautiful nature. Plus, it's a cheap country to travel, you'll get a great value for your money. I've been f̶o̶u̶r̶ ten times to the Philippines and spent in total more than eight months there and hell... This place blew my mind! Whenever I meet travelers, I encourage them to travel the Philippines, but for some reasons, people are still hesitant and stick to the ordinary "Thailand-Laos-Cambodia-Vietnam Route". Don't miss out on such an amazing country!! In my opinion, Philippines is better than all of these countries together. And I tell you why! 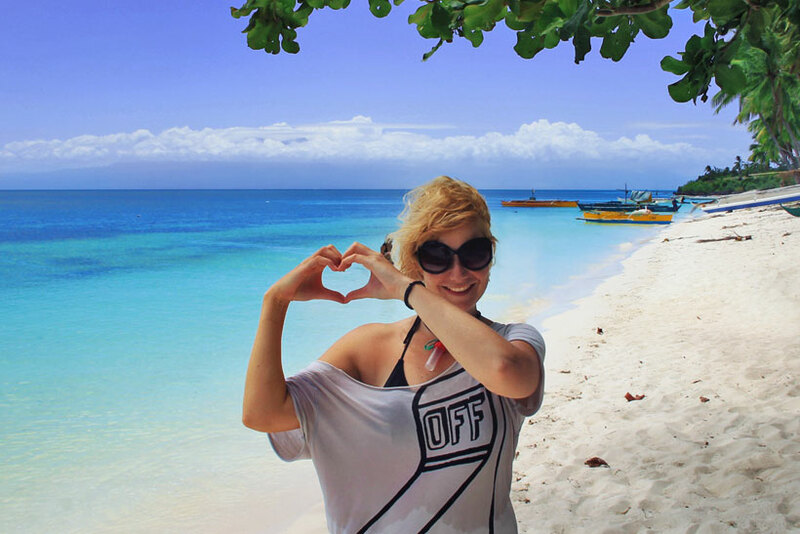 HERE ARE MY 10 REASONS WHY YOU SHOULD TRAVEL TO THE PHILIPPINES! The hospitality of Filipinos is incomparable to the rest of the world. In my experience, from all the Asians I have met, Filipinos are the most kind and friendly people, extremely welcoming and curious, but also respectful. They always seem happy and smiling, and they love to sing and to dance whenever there is an occasion to celebrate. I don't feel like a walking wallet in the Philippines and getting in touch with locals and becoming friends with them is much easier over there than in other countries. If I look in my Facebook, I think by now I have more friends from Philippines than from my own country. I'm still in touch with many Filipinos I met during my trips, many of them I met again or even traveled together. They turned out as faithful, kind and caring friends. To sum it up, I love them! Philippines is one of the largest island groups in the world with 7,107 islands. 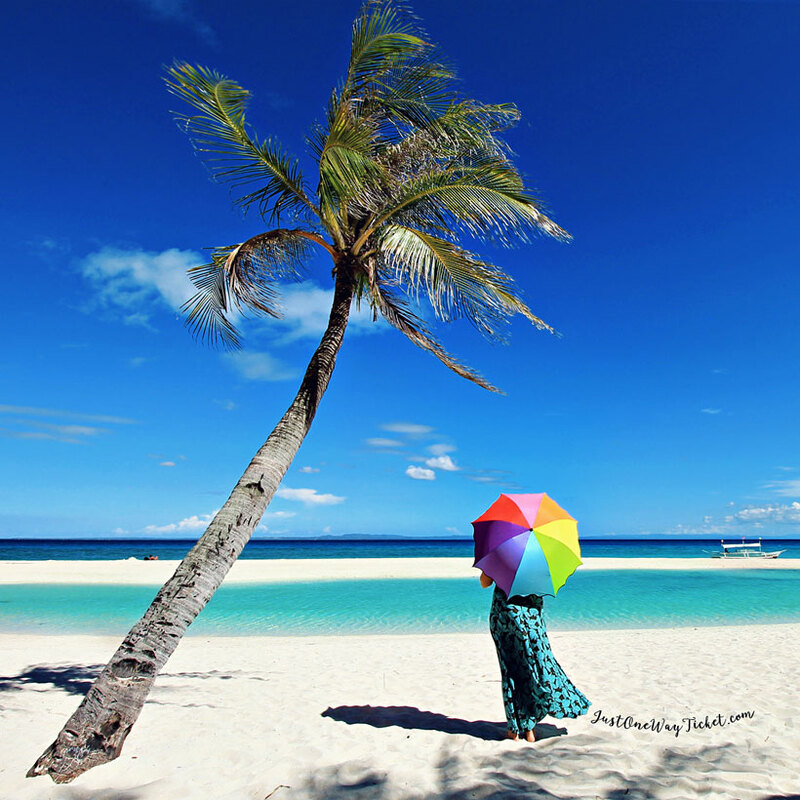 Philippines islands and beaches are ... Heaven. Paradise. Amazing (see my blog post about Palawan). No kidding. I hardly found better beaches in the world than there. The queen of all the beaches is probably White Beach in Boracay, constantly rated as one of the Top 10 beaches of the world. I wouldn't say it's the best one, but certainly the most famous one. Here some more images, click to enlarge! Get lost in one of the biggest shopping malls in the world. When I noticed all the giant shopping malls in Manila, I had a feeling that Filipinos must be crazy about shopping. Later I figured out that shopping is also a way of family gathering for them. Or as one of my Filipina friends says: "They come for the air conditioning." Anyway, shopping in the Philippines can be quite a worthwhile experience. The country is known by many as a great handicraft center. Manila has fantastic shopping opportunities. There are a lot of places to go and it all depends on what you intend to buy, and how much is your budget. SM City North EDSA, located in Quezon City is the biggest mall in South East Asia, SM Mall of Asia in Pasay is the 2nd largest mall in the Philippines after SM City North EDSA, and the 4th largest shopping mall in the world. Boutiques, supermarkets, fashion outlets, restaurants of all kinds, coffee shops, movie theaters and 3D cinemas, Internet cafes, Spas, you will find everything there to entertain yourself for a whole day. If you look for something like a flea market, check out Greenhills Shopping Center in San Juan, loads of stalls with DVDs, antiques, jewelry and pearls and of course cheap fake branded clothes. Philippines has one of the most diverse wildlife in the world. Philippines is home of a diverse range of birds, plants, animals and sea creatures. There are nearly 200 mammal species in the Philippines. The Philippine Tarsier is one of the smallest (and cutest!) species of monkeys in the world. You will find more than 600 species of birds, over 300 species of reptiles and amphibians and at least 400 coral species. From the giant whale shark to the world's smallest fish (Pandaca pygmea), everything you can dream of is united in the beautiful islands of the Philippines. 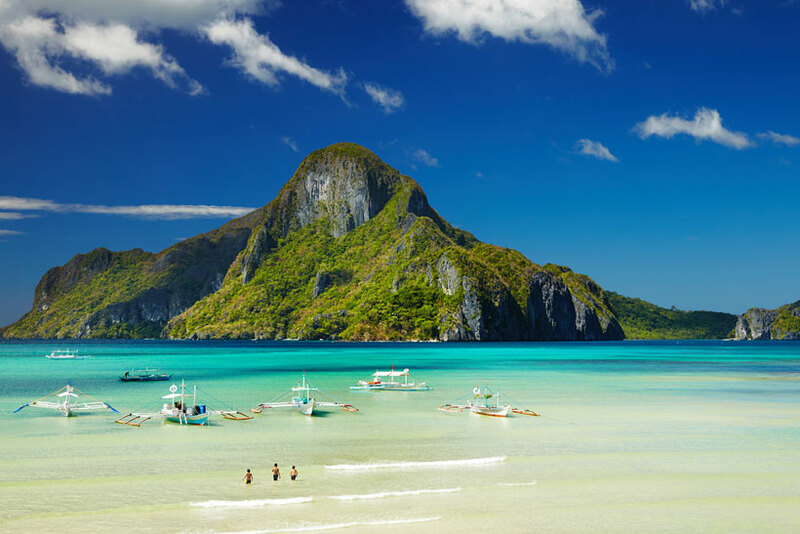 Philippines has some stunning surroundings, the fantastic Chocolate Hills in Bohol, the Rice Terraces in Banaue, the incredible Archipelago of El Nido. You can climb one of the 37 volcanoes, for example the Mount Pinatubo, or see the world's smallest volcano of Taal. You can discover caves, lakes and waterfalls. If you love nature, you will love the Philippines. The average yearly temperature is around 26.6°C. Luckily, the weather in the Philippines does not reach a point of extreme hot or extreme cold temperatures, so you can easily adapt to the tropical weather. The best time to go is between November and May. Anyway, the weather is pretty much unpredictable since global warming. Well, I know, Filipino cuisine is not that famous around the globe, and I have to admit, I've never seen a Filipino restaurant outside of the country. BUT that doesn't mean the food tastes bad, not at all! Calamansi juice, made of a citrus fruit. Philippines has too many bananas, they invented a new type of ketchup: the Banana ketchup. Halo-Halo, a delicious dessert made of milk, kidney beans, fruits and ice cream. Too much for one, so please share (with someone nice)! Be brave and try Balut, a boiled egg with an underdeveloped duck (embryo) inside! Pancit, noodles with veggies and meat. Sinigang, a tamarind based sour soup. Barbecue sticks of chicken/pork intestines. Adobo, a dish with chicken, beef or pork cooked with vinegar and soy sauce. A place where Rhum is cheaper than juice. Definitely a must-try is the Red Horse beer! Stronger than normal beer, but nobody actually knows how much stronger, since it's not written on the bottle. In a supermarket, a 0,5l bottle cost 20 pesos (a half US Dollar). A bottle of Tanduay Rhum cost 1 US Dollar. My favorite Rhum is the Boracay Coconut Rum, watch out for the white bottle, looks like Malibu. It's very delicious mixed with pineapple juice. Get your 0,7l bottle for only 90 Pesos. Pamper your body with a good massage. One of the greatest things to do in Philippines is pampering your body with a good massage. Massage places and spas are all over the country, from luxury spas to massage ladies on the beach, you will find them almost everywhere. I can highly recommend trying a Swedish massage, it's a full body massage with oil. 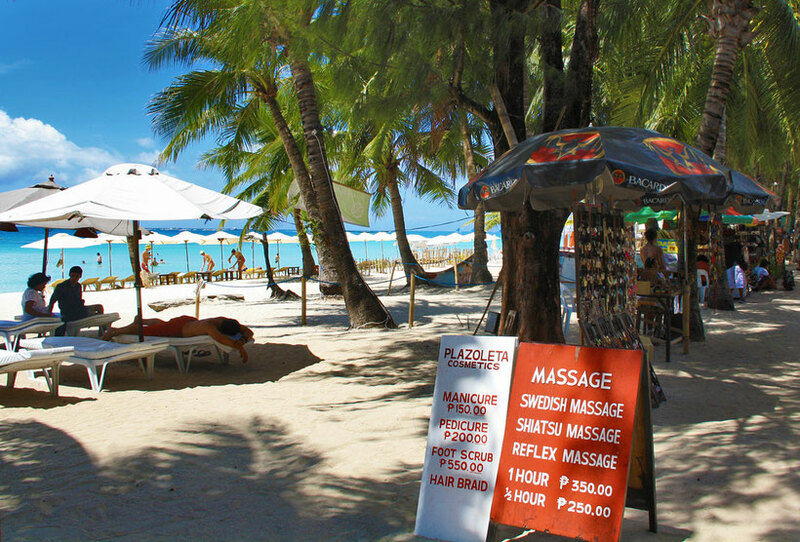 The photo above is taken in Boracay, where you get a massage for 350 Pesos/hour at most of the places (around 8 US Dollar). Over 90% of the population speaks English. 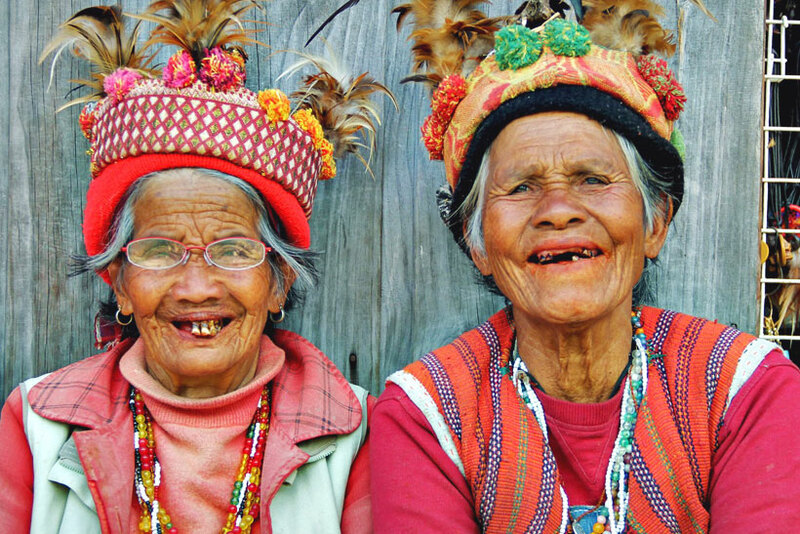 Big advantage compare to other Asian countries: Almost everybody speaks English in the Philippines, from a 3 year old kid to the 90 year old granny. English is the language of the government, and the preference for written communication, be it in school or business. There are also plenty of English version newspapers and magazines. Explore the country like a local. 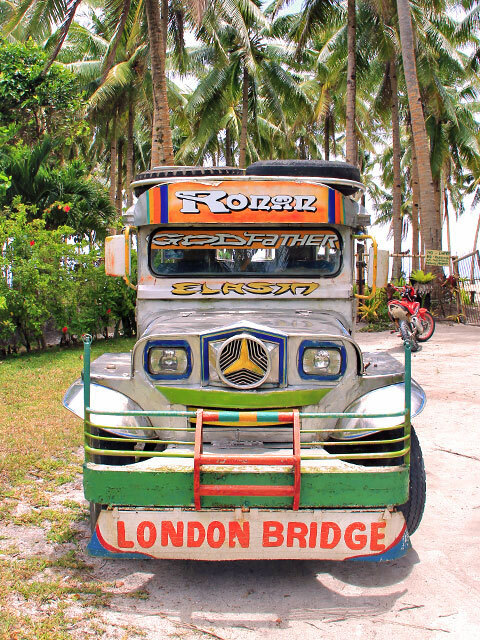 Another thing you have to do in the Philippines is riding in or on a jeepney! Why? Because it's fun! It's cheap and it's windy, no need of an air conditioner! But what are these jeepneys and where do they come from? The U.S troops left old military jeeps back in WW2. The Filipinos opened the back, added two benches, gave them a colorful and unique design, decorative ornaments, flashy paintings, stars, dots and sometimes even extra lights. And just like that, the Philippine jeepney became a cultural sign of the country. An average jeepney can carry 16 - 20 passengers, two up front next to the driver and 14 - 18 seated in the back facing each other on two benches. Well, that's the normal case, but often you'll see an extra body hanging outside or onto the back, or people even occupy the roof. For some reason, mostly these "outside" passengers are young and male. You will be surprised, how much a jeepney can carry. To get a sense of the place from the local’s perspective and to see how people interact, Jeepneys are a fantastic way to explore the country. So don't forget to hop on one whenever you have the chance! ...AND NOW, BOOK YOUR TICKET TO THE PHILS!! Are you ready to visit the Philippines? 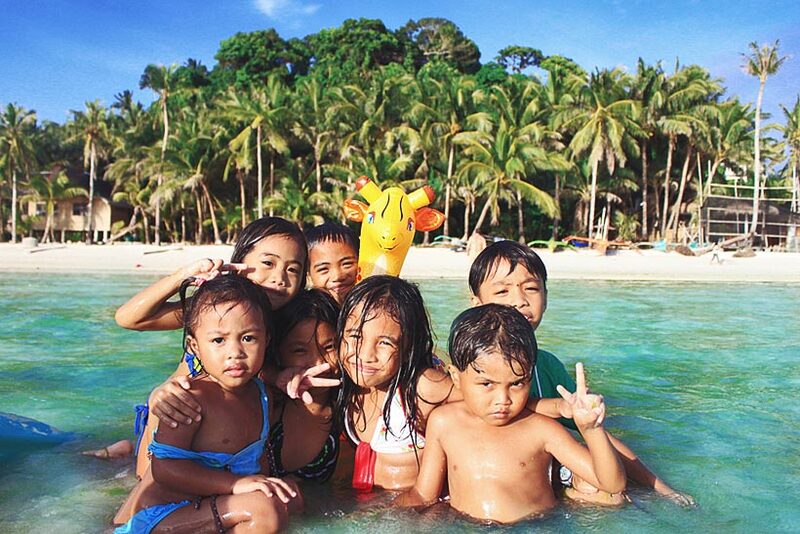 Head over to Kiwi.com (the best flight search engine) to find the cheapest flights to the Philippines! If you need some travel guides, sightseeing tips and destination infos, have a look at Tripadvisor! Looking for affordable accommodation in the Philippines? Check out Agoda, I use it all the time to book hotels and I highly recommend them! After visiting the Philippines 10 times, we took a drone to the country and created a video showcasing how the Philippines really look like. The video features Palawan, the islands around Cebu and Siargao... We still love to travel to the Philippines, more than ever!! Have you traveled to the Philippines? Please tell me about your experiences! I would love to hear what you think about this beautiful country! If you like this article, please share!